The Daily.co API is the easy way to integrate polished video calls. Add production-ready video calls — secure 1-click calls with a finished UI, which work across browsers and devices. Keep it as simple as possible for your users. Customers simply click on a link to join. There's no app or software download. Users do not have to create an account. On mobile, users don't have to download an app. Our API builds on top of WebRTC tech, an open source, and secure platform, backed by major companies like Google, Cisco and Amazon. Go to market with a complete, polished UI. 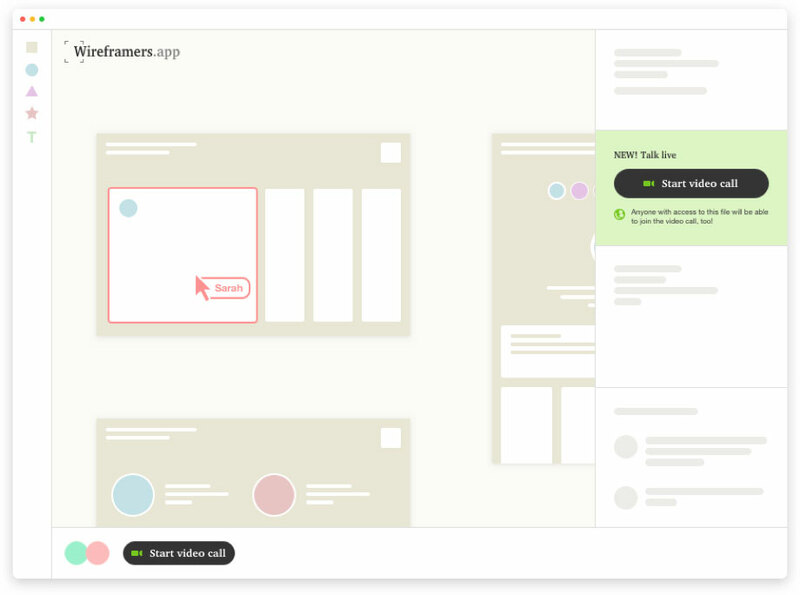 You don't have to lose valuable dev and design time building out a UI for video calls. The UI in our API has been used for tens of millions of call minutes by people in dozens of countries. Calls with 4 or fewer guests are peer-to-peer, and encrypted end-to-end. Read about our peer-to-peer architecture here. Be responsive to your customers. With Daily.co, you can reference and link to our open help articles. Up to 50 people can join a call, with up to 6 cameras on at a time. 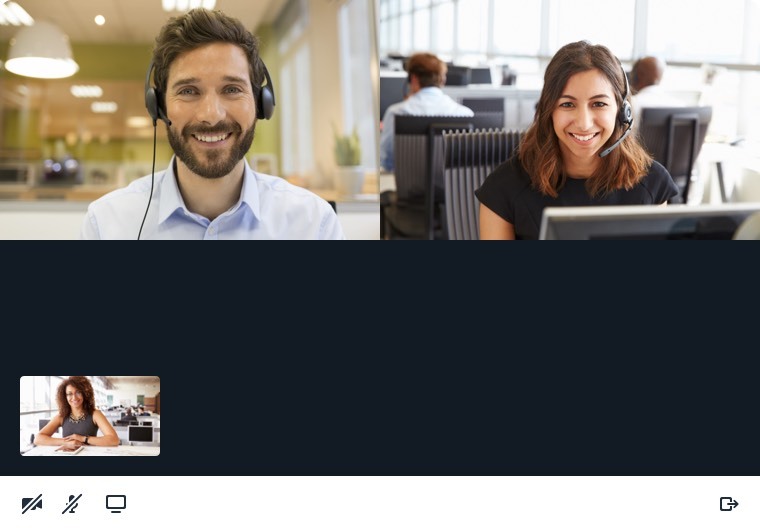 One click to join meetings on both computers and phones. Best-in-class support of Chrome, Edge, Firefox and Safari. Share resources with customers and clients. Option to remove the 'Powered by Daily.co' branding from UI. Set up meeting links on your own custom domain. Our API is built on our expertise with video infrastructure, WebRTC, and UX/UI. Our dev team experience includes building video conferencing products for Fortune 100 teams like Boeing and GE. Check out our blog for detailed posts about our infrastructure and API. 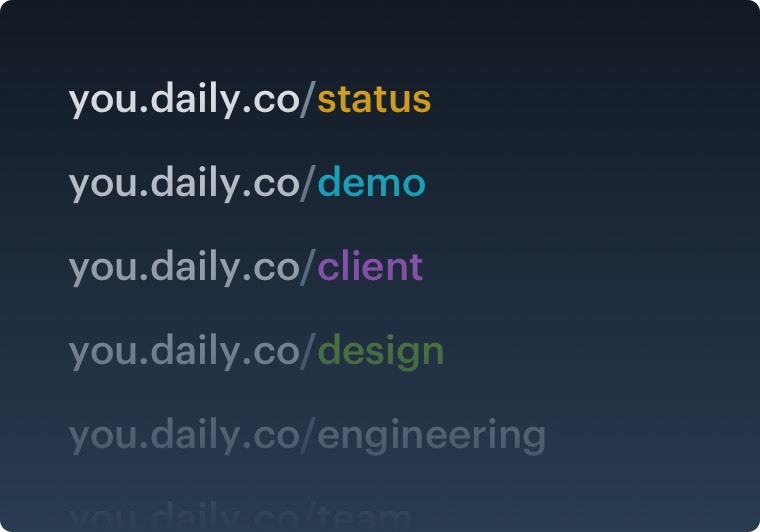 The Daily.co API is the most flexible way to go to market with video calls. Just a few lines of code give you production-quality calls in your product. You can add advanced features as needed. Use a market-proven UI. You can hit the ground running with a UI that's used millions of call minutes each month, by people in dozens of countries. Hit your KPIs and product deliverables. You can stay focused on your mission because we take care of video. You save valuable sprint time, dropping in video while streamlining dev costs. Our team has been building video conferencing and telepresence systems for more than two decades. We have extensive experience in large-scale cloud architecture and high-secrurity systems. We know how to work with both Fortune 100 companies and with startups. Sign up to get started free. Questions? Chat with us.